If I create a contact on my owncloud server, I can add anniversary data and it’s correctly sync with android. 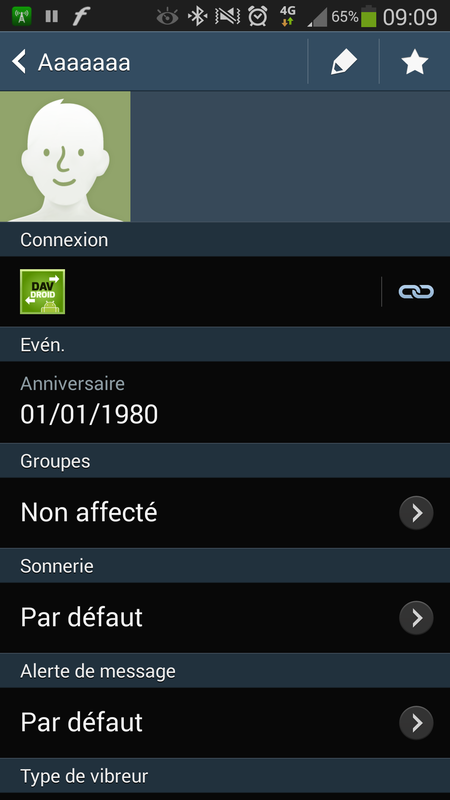 However, if I create a davdroid contact on the phone, anniversary does not appear on the field list, and I can’t edit those from already existing contact. Duplicate of #426, please follow up there. Summary: This can’t be done reliably without VCard/4 support because VCard/3 doesn’t define anniversaries. If it can’t be edited on Android you need a different app for contacts. You can try “True Contacs” - this is an unbranded version of the Android contacts app. DAVdroid is only the adapter for sync but has no influence which fields are editable on the device. Hope that helps!